Remedial Massage Queenstown is stoked to introduce a brand new payment innovation for you! 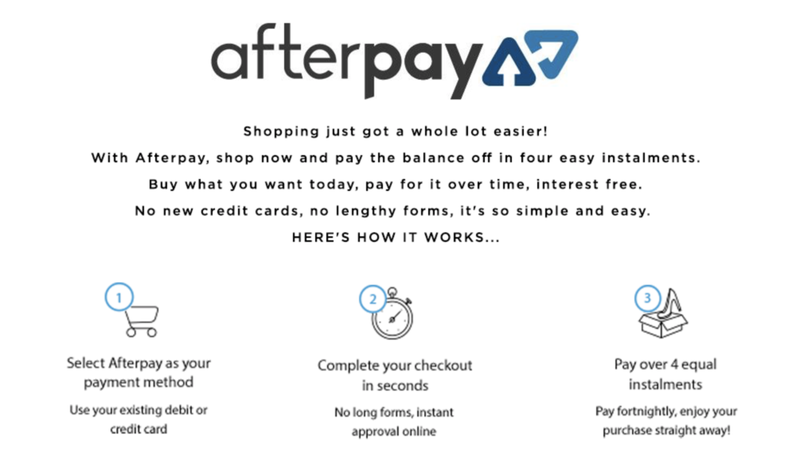 Afterpay offers interest-free payment plans for your in-store purchases. Buy and receive what you want today and pay it off in four equal instalments fortnightly. For more information, please read the details below or click here. On your afterpay app, log in, and click the barcode icon at the bottom of the screen and let us copy the barcode down. you will be charged in 4 equal payments over 8 weeks (1 payment per fortnight). This is an interest free service, with no hidden fees. Have no more than 2 pre-existing purchases with Afterpay for the first six weeks after you have activated your account. Thereafter transactions limits are based on your credit with your personal credit provider. Register or login to your Afterpay account and confirm your payment. No exchanges or refunds can be made after the initial purchase.